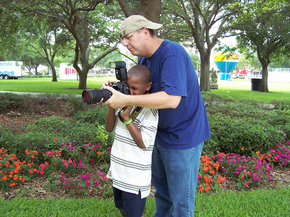 Thanks to the dedication of so many photographers, hundreds of foster children have found their forever families! From award-winning photojournalists to sought-after fine art photographers, each brings his or her unique perspective to the Gallery. Every photo shoot is custom-designed with the child in mind. Whether it’s a good day or a bad day for a child in care, our photographers treat each one like a star, hoping to capture that special something every young person possesses.